Though I felt like I didn't accomplish much knitting-wise, when I looked through photographs from this past year, I found that I was able to meet my goal to complete twelve projects in 2016. In this coming year, I would like to complete another twelve knits and also try to knit socks for the first time. 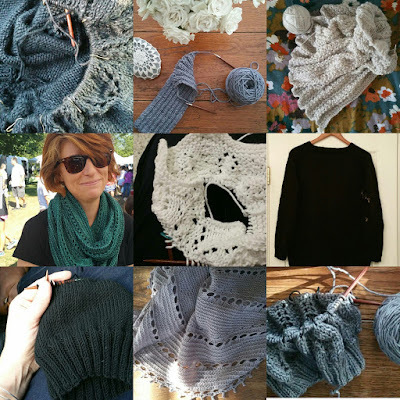 I love the idea of making knitting goals for the year! I will have to add that in to my list of resolutions. I'll probably start with a goal of maybe 4 projects. I am sloooooooow!! !